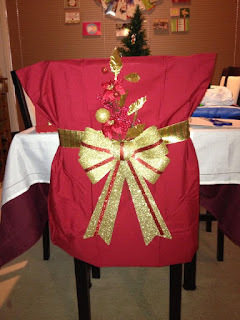 Scrappin' Up A Storm: Merry Christmas! 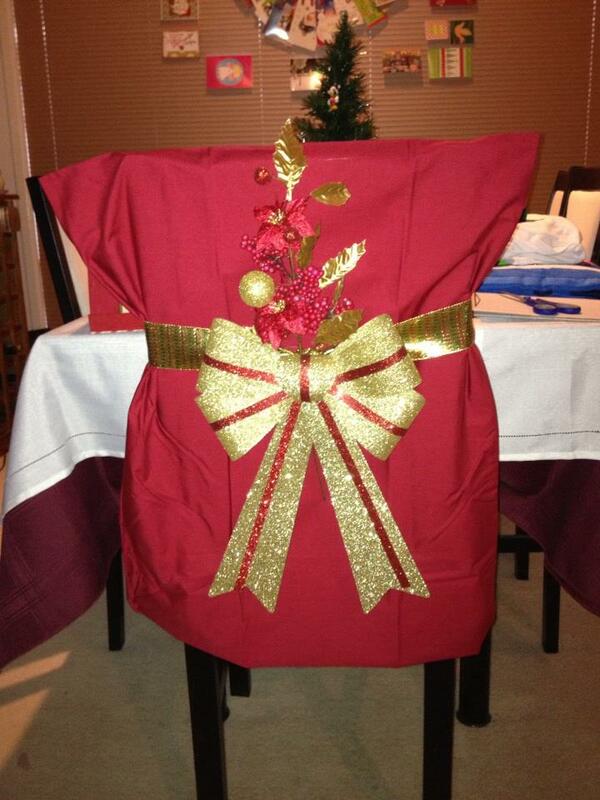 I needed somewhere to share my Christmas chair cover idea so here it is.Cover the chair with a pillowcase, tie some wide ribbon around, attach bow and sprig (purchased @ 75% off RRP on Christmas Eve from Spotlight!) and voila! Two minutes to put together and I think the end result is well worth it. I can't wait to get the rest of the table done now. The best idea Shelee...I will keep that up my sleeve for next year! !